We are always pleased with our orders from Miles Kimble!!! Fits my grandson and his Minecraft game playing perfectly! My son loves the computer games, so it is perfect for him. 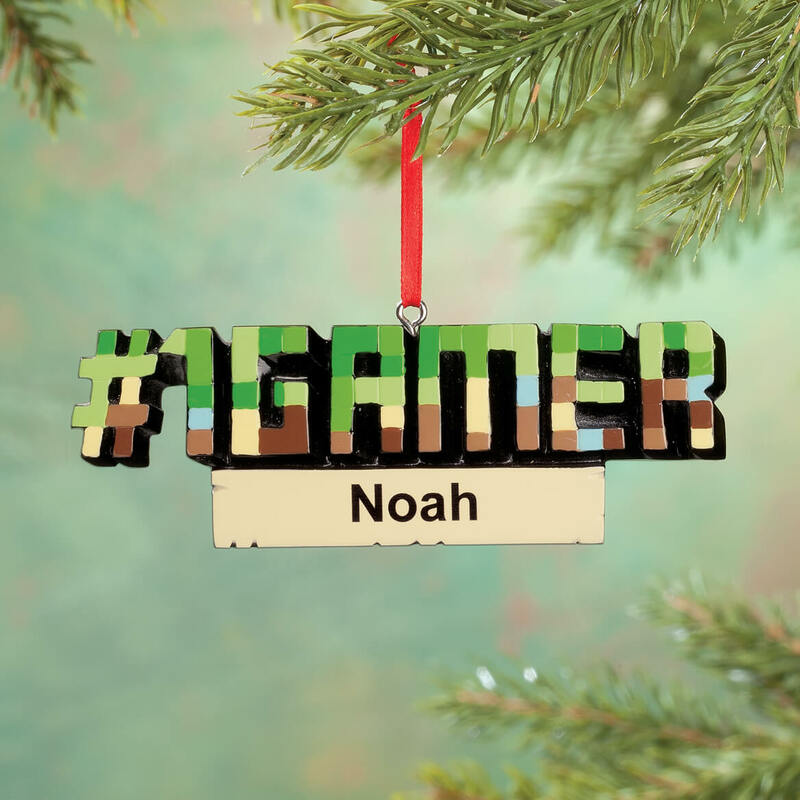 Our teenage grandson plays tons of games on their x-box, so this is the perfect ornament for him. Its cute for my 7 year old son who just started playing games. My grandson is a mindcraft gamer. I chose all the items because they were what my grandkids are interested in and to show all the family together. My 10 1/2 year old grandson is a Gamer. A great way to show him that I recognize his talent. I have a gamer son and I thought he would like it. How large is it and would it be good for child into i-pads? 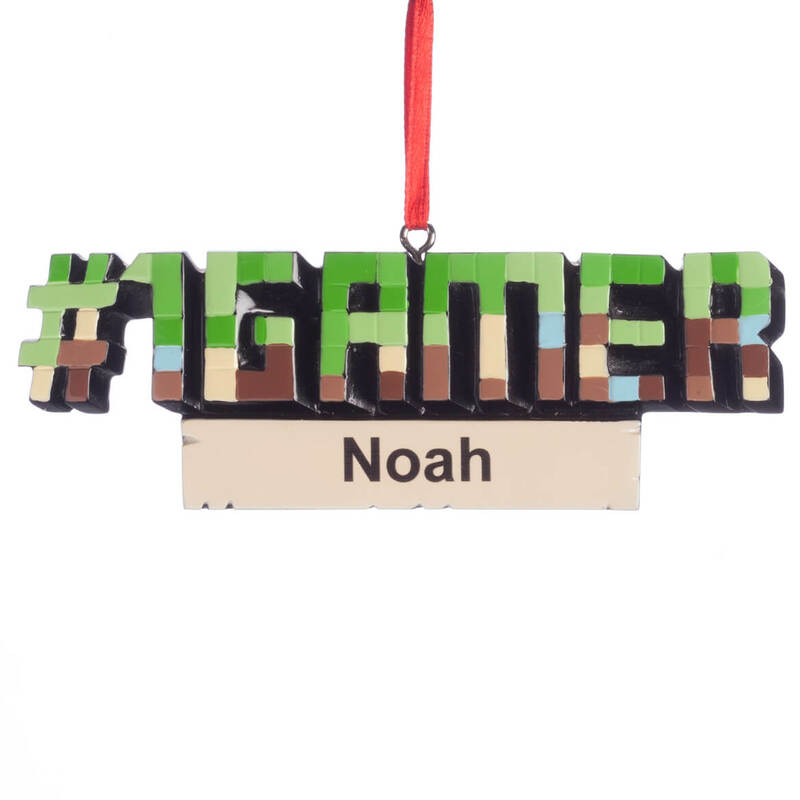 BEST ANSWER: Ornament is 4" wide and 1-3/4" tall. I got it for our 7 year old grandson who loves to play games on his tablet. Its a very nice-looking ornament. It is 4 and a half inches wide by 1 and 3/8 inches high. I ordered it for someone who is into I-pads, so I think it would be appropriate. Thank you for your question. It measures 4 1/2"Wx1 3/8"H.We hope this information will be of help to you. I got this for my son-in-law good size. They do have an IPAD ornament also.